This recipe for Tamater Kabli Ghana Usal was offered in a 1983 issue of Back to Godhead magazine, alongside an article by Vishakha Dasi about the popularity of chicken in the Western diet. She offered the chickpeas (garbanzo beans) as a great substitute in your diet, being a good source of protein and iron, as well as fiber, vitamins A and b6, riboflavin, thiamin, niacin, calcium, phosphorous, sodium, and potassium. Carrot cake is a hot topic... people either love it or hate it. Cintia offers this recipe in her 'The Book of Eggfree Cakes' and shows that you can make this with a little flair that might convert the non-carrot-cake camp. It's especially delicious with a nice butter or cream cheese icing on top! Let us know how you like this recipe and if we need to move it out of the test kitchen and into the recipes section. This recipe for Kabli Ghana Usal was offered in a 1983 issue of Back to Godhead magazine, alongside an article by Vishakha Dasi about the popularity of chicken in the Western diet. 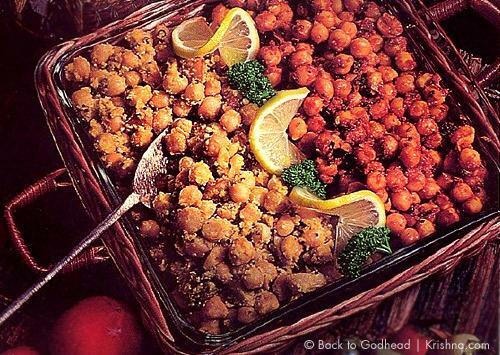 She offered the chickpeas (garbanzo beans) as a great substitute in your diet, being a good source of protein and iron, as well as fiber, vitamins A and b6, riboflavin, thiamin, niacin, calcium, phosphorous, sodium, and potassium. 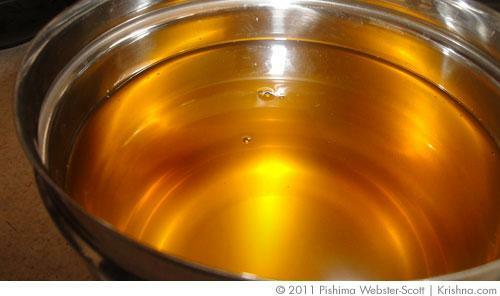 Ghee is used regularly in many Indian recipes and is an essential part of many Hindu religious ceremonies. Recently, ghee has also gained a large fan base among the foodie population. I personally use ghee instead of vegetable oil in many different recipes...not just Indian food. 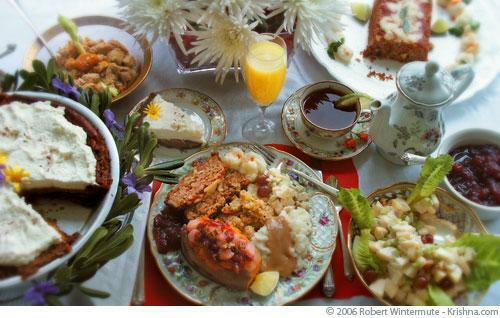 A complete vegetarian Thanksgiving dinner menu to delight loved ones. By Rangavati Dasi, a master chef and baker who lives with her family in the Alachua, Florida, Hare Krishna community. Click on the links below to access each recipe. 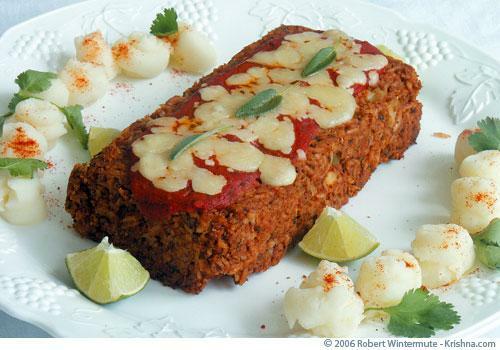 This vegetarian nutloaf, with tomato sauce is a nice main dish for an Italian-style menu. Slice and serve and amaze your guests.